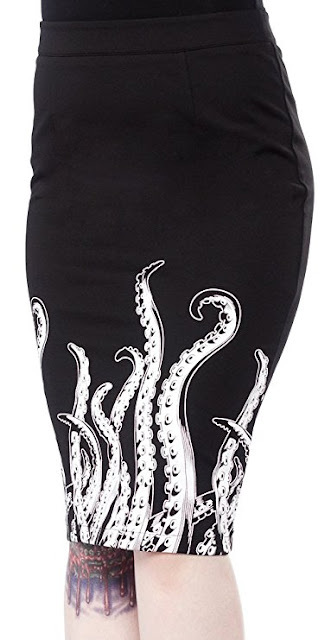 Ok, ok, you probably wouldn't wear Sourpuss's new Tentacles Pencil Skirt to court or to a high-profile business meeting. But for around the office, you can add a dark edge to your corporate attire with this skirt, paired with a nice little black cardigan. 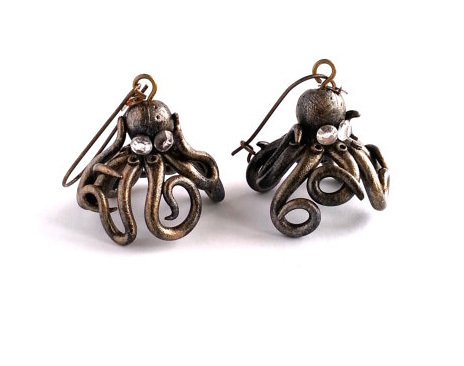 If you were so inclined, you could pull your outfit together with these steampunk octopus earrings, too!